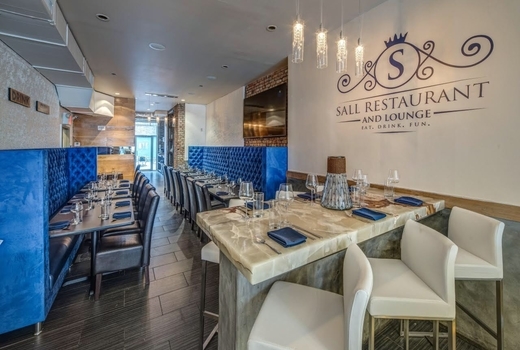 With roots in the South, Sall Restaurant celebrates classic Creole cuisine made fresh daily, alongside a cocktail list that will make some of the city's best bars gleeful. Grab this $39 pulse (a $70 value) for a Southern Bottomless Brunch For Two that includes 2 Entrees and 90 Minutes of Bottomless Cocktails from the Mimosa Bar. 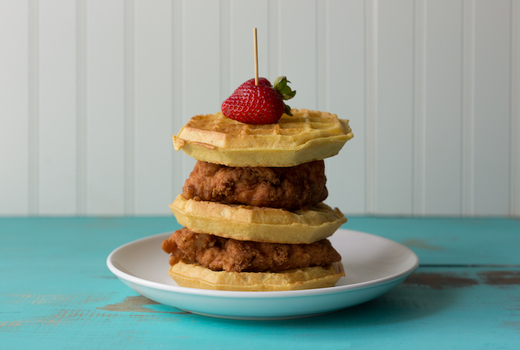 Nosh on the Chicken & Waffles that come topped with blueberries, strawberries and a dollop of whipped cream. 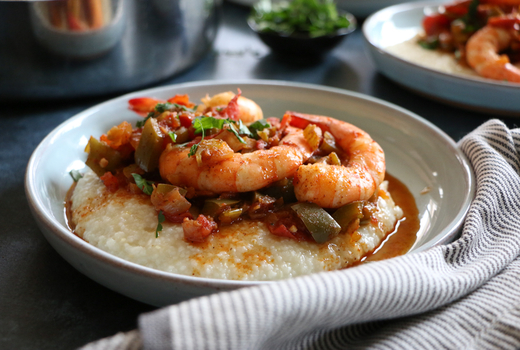 Alternatively, keep it super authentic with the Shrimp & Grits (sautéed Jumbo Tiger Shrimps over cheesy grits) that's hailed as "extraordinary" by Manhattan Digest. As for the drinks - you'll have your choice of 6 different types of Mimosas from the Mimosa Bar! From the Strawberry Pink Lemonade (vodka, pink lemonade, Champagne, fresh strawberries) to the Island Blast (fresh orange juice, DescriptionTriple sec, Champagne, fresh orange), there's a lot to choose from! Boasting cozy blue banquettes, marble-top tables and a beautiful, heated outdoor patio, Sall Restaurant is a chic seafood-focused restaurant & craft cocktail lounge founded by the wife-and-husband team of Isabella Nartey and Demba Sall. In the kitchen Executive Chef Johanthan Silva (Russian Tea Room) experiments with an ever changing menu that includes perennial classics. One such dish is the Truffle Lobster Mac & Cheese (fresh lobster chunks, grana padana, smoked gouda, NY Cheddar, truffle oil, butter toasted panko crumbs tarragon) is raved about as being "exceptional" by TimeOut New York. Underscoring the modern menu is the elegant dining room, featuring a poured concrete bar, marble high-tops and a heated outdoor patio illuminated by fairy lights. All selections are made from the restaurant's brunch menu, which may be viewed here. 90 Minutes of Bottomless Mimosas - 6 Types of Mimosas from the Mimosa Bar. Live Entertainment (Drag offered on Sundays). "Great food, great ambience, and the new bar looks super sleek! 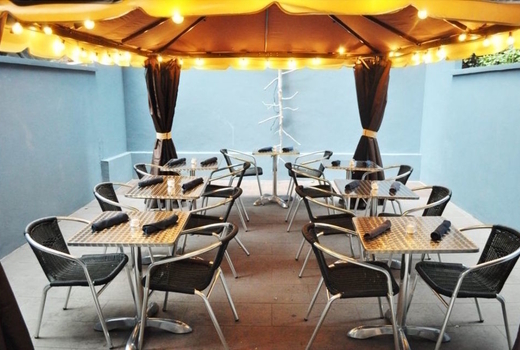 Fun place for a weekend brunch, and Steph the bartender was amazing!" "Food is great bartenders are friendly and skillful making drinks beautiful spot to take a date very classy not expensive." "Fantastic time with my girls, great wine selection, server is very sweat, music was on point. I had the Surf & Turf and Lobster Mac N Cheese." Multiple vouchers may be combined for larger groups. $10 upcharge for Steak & Eggs. Expires on Sunday June 30, 2019.